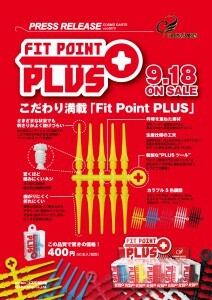 Fit Point PLUS is finally available for sale! We have reviewed all- material, design, and production method, and desired new tips are completed. 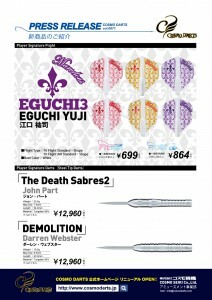 The popular Japanese player, Yuji Eguchi collaboration flights with a completely new design from his fist model. The vibrant colors express his energized personality perfectly. Former champion, John Part second model of his steel tip darts from Cosmo Darts. This front loaded darts give consistent grip and release. 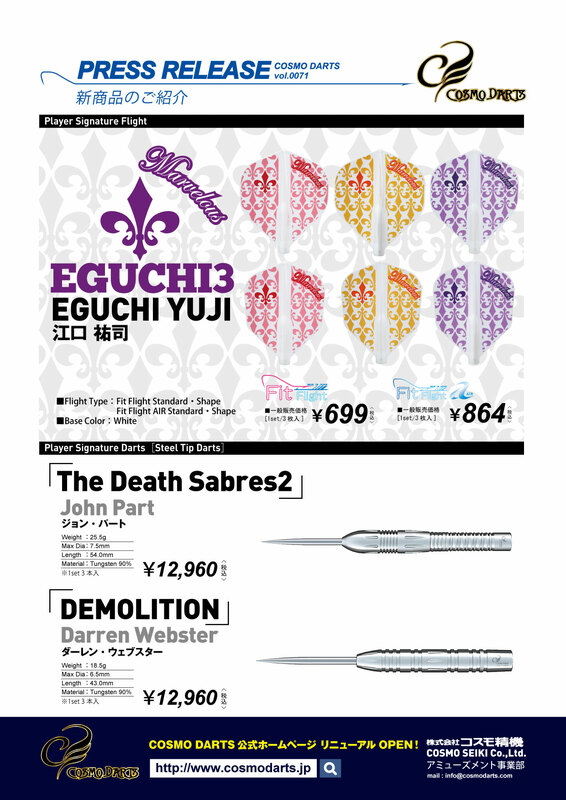 Darren Webster signature steel tip darts. This is the darts which pushed his PDC ranking up to the 33rd in the world only in three years! 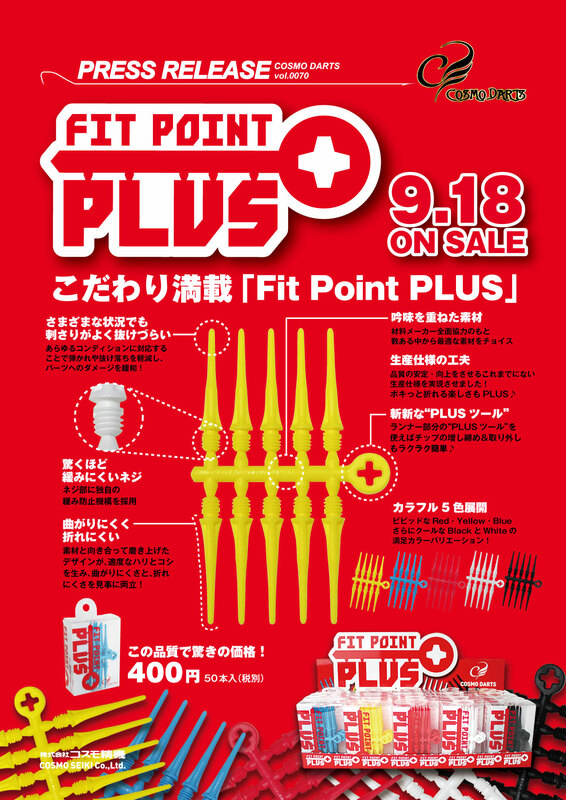 The above products are available for sale from September 18th, 2015.